When you are grateful, being thankful you learn to appreciate what you have. When you can be that thankful you feel a sense of peace. If, on the other hand, your focus is on what you don’t have you will always feel a sense of dissatisfaction, and never be at peace. Even when you have what you desire, you are so busy focusing on what you think you don’t have that you miss your blessings, and seeing the bigger picture. Open your heart to possibilities, relieve yourself of the stress of not having, be thankful and let the universe do its work. Your personal development is dependent on what you feed your mind. 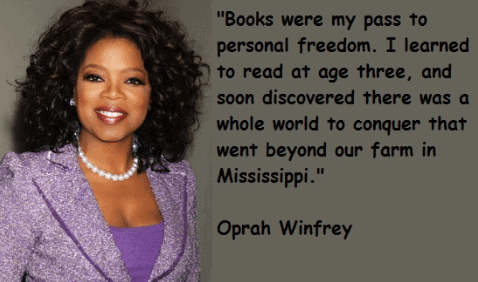 Sometimes personal freedom comes with a price, but you can come away stronger than ever if you do what Oprah did… become an avid reader! We learn from our failures so never be afraid to try something new…to create. As you overcome one problem, one challenge after another, you become stronger. Success is a road well-travelled by those with a positive outlook and mindset, and that sense of achievement and you know you hold it in your hands. You might not yet receive it but you just know it is there waiting for you to find the right means to accept it. It is certainly not a dull life, if we learn to look at things from different perspective, learn from it, and turn negative situations into positive ones. Make it a process! 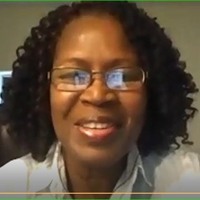 When you can align your personality with your energy positively, there is nothing that you cannot and will not achieve. That is when you become your authentic self. That is when you achieve that sense of balance and focus so you are able to see things more clearly, identify with your vision and act with confidence. Be grateful and allow the universe to work with you and for you. Believe in yourself knowing that all is well. Do the right thing by helping others to align themselves with their vision and accomplish the reason they began their journey to achieve their desired outcome. If you truly understand how the universe works, you will realize that in helping others, you are actually helping yourself. I appreciate you for taking the time to read my press release and hope you have gained some value from it.